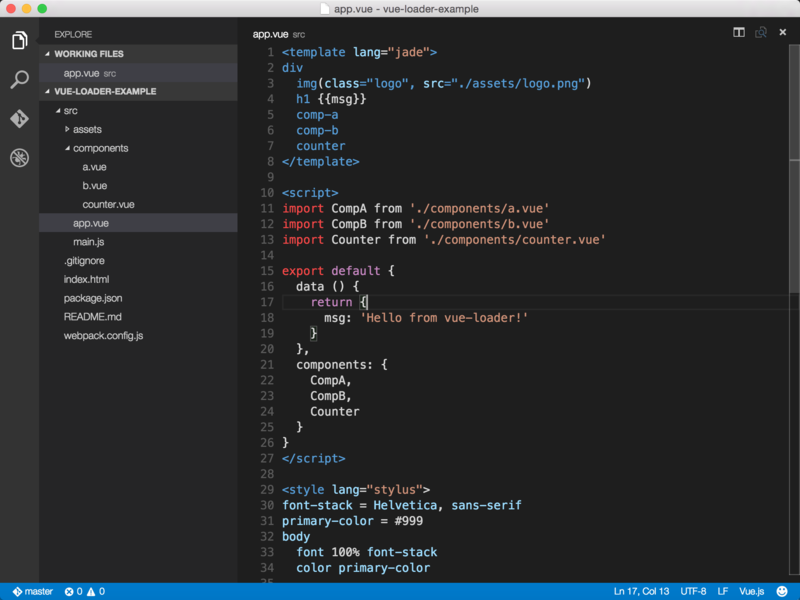 Visual Studio Code>Programming Languages>vueNew to Visual Studio Code? Get it now. Sorry for the bad news: ES2015 support is still buggy. So using ES2015 may cause the syntax highlighting broke below the <script> tag when using some new ES2015 syntaxes (E.G. export default).